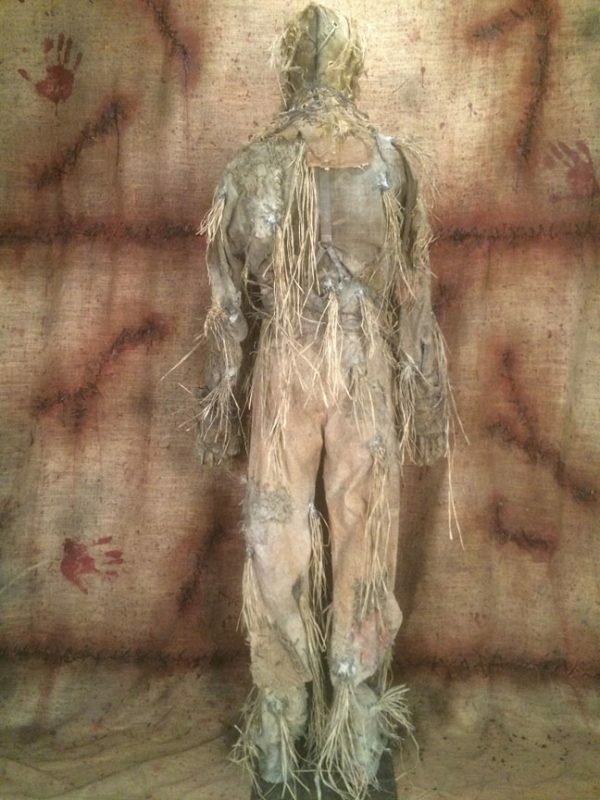 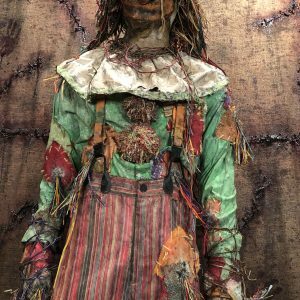 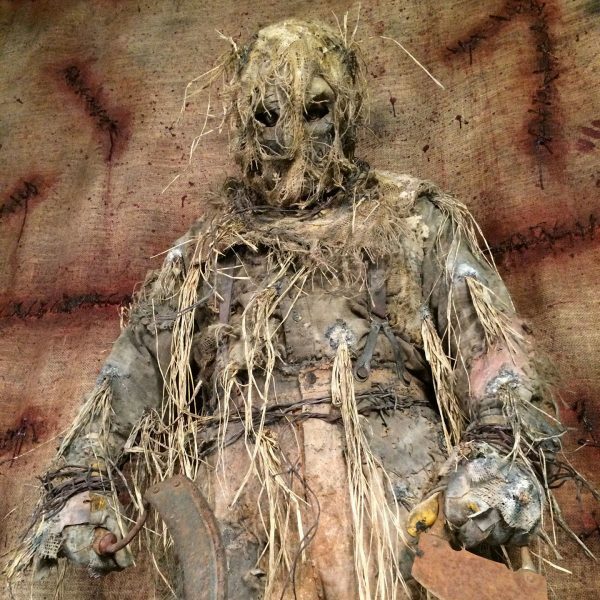 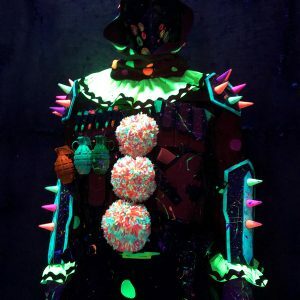 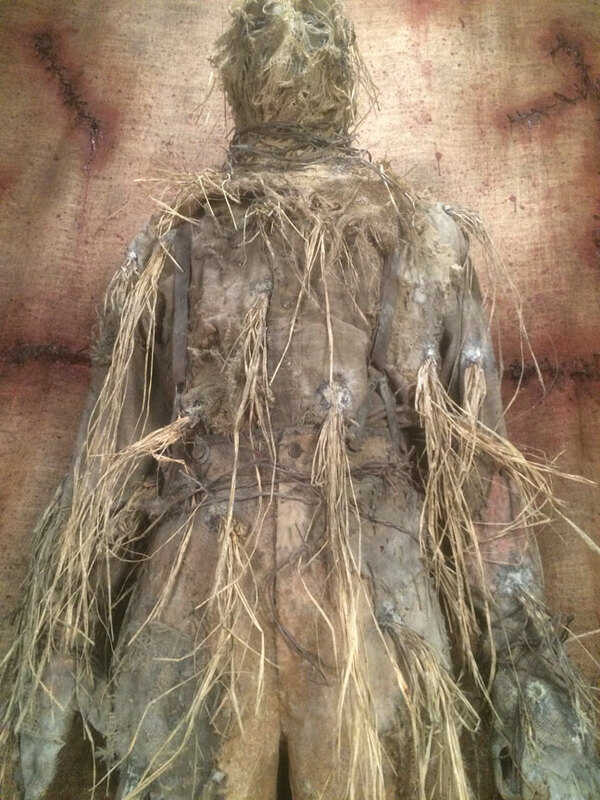 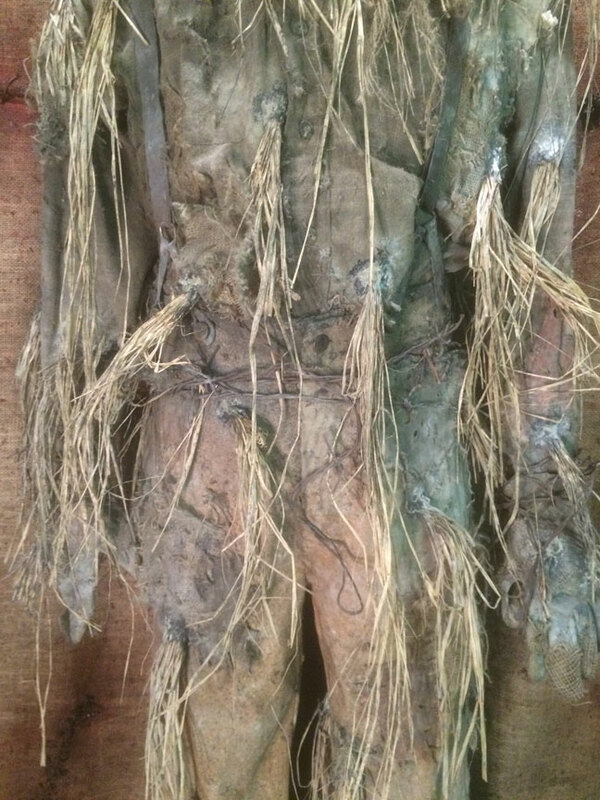 A scarecrow by definition is a decoy or mannequin in the shape of a human which is dressed in old clothes and placed in fields to discourage birds such as crows or sparrows from disturbing and feeding on recently cast seed and growing crops. 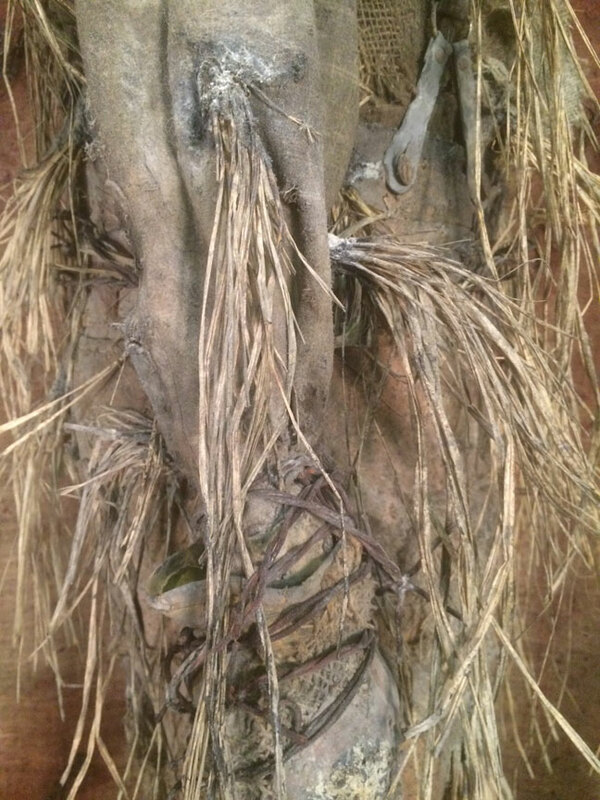 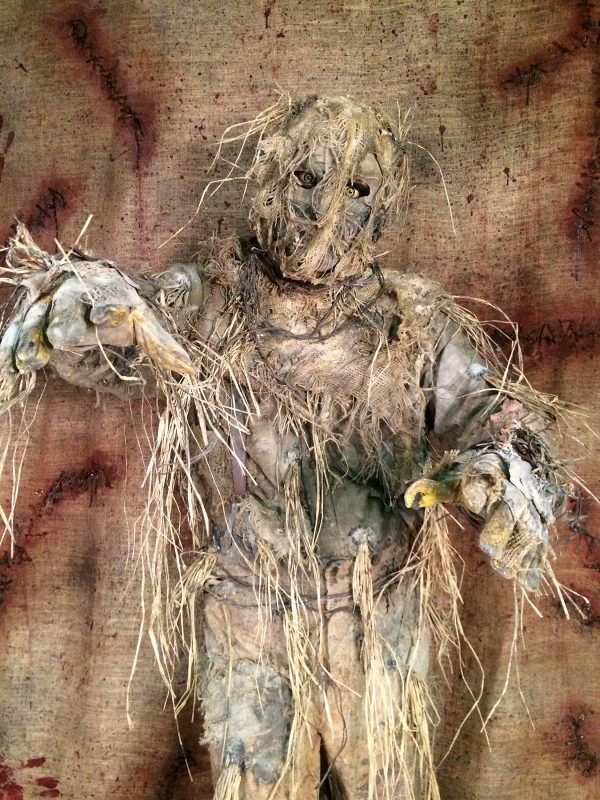 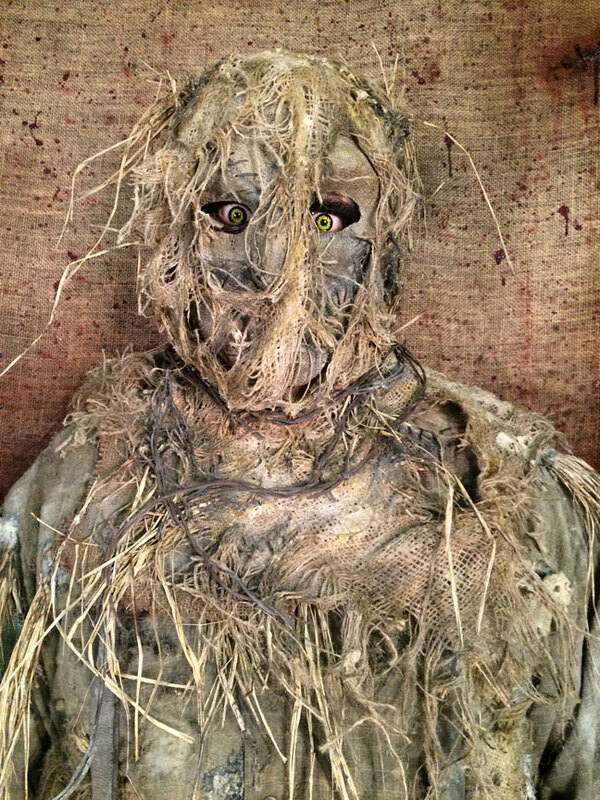 We think this scarecrow has more on his mind than just scaring sparrows! 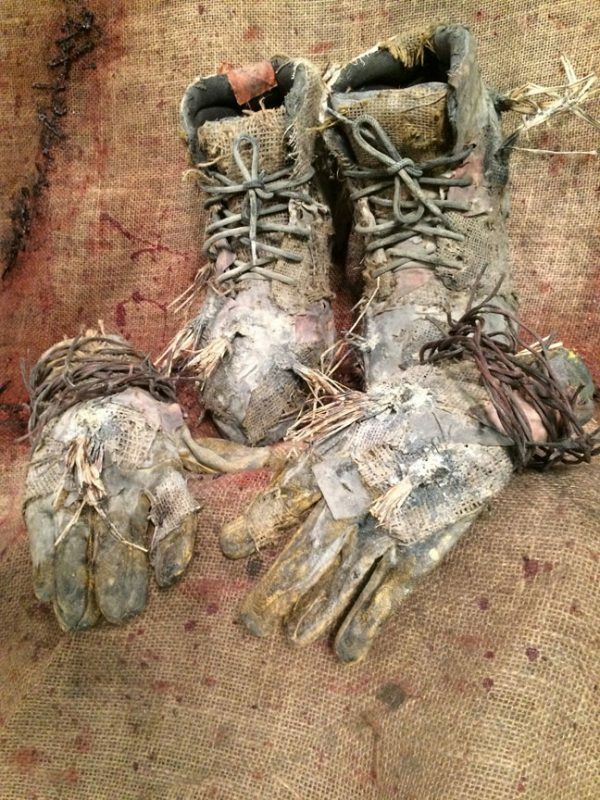 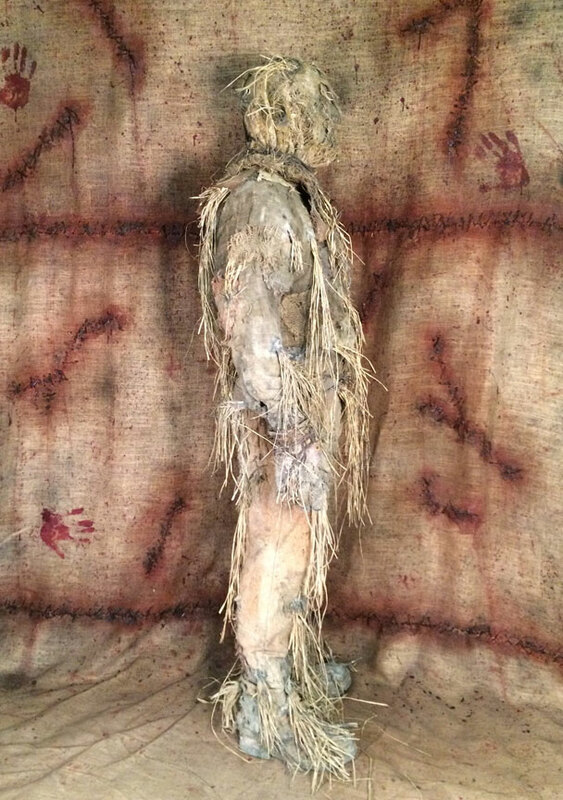 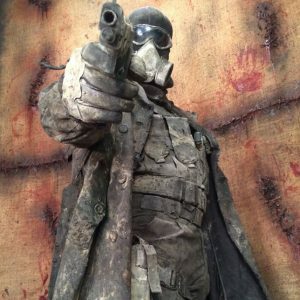 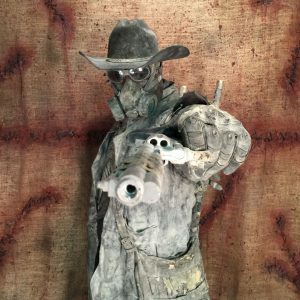 Our new Strawman comes complete with a custom Sinister FX burlap mask (optional – $699 without), weathered and fully aged Western Frontier old style suspenders and pants, detailed gloves, barbwire FX, shirt and boots and more. 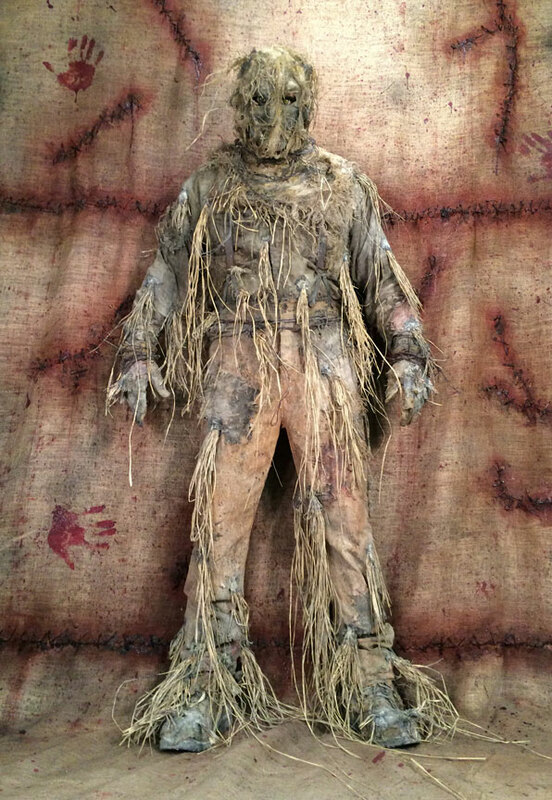 Custom sizes (larger than 3XL) will incur an $35 additional fee.